This instalment of Educating Peter has proven to be an incredibly difficult one to write. Michael, my usual supplier of “Hey, the 80s weren’t that bad” songs, sent me a song by Big Country. He suggested “Look Away“, and I remember liking it a lot. And that reminded me of “In A Big Country“, a song that would probably be one of my favourite radio songs – not just of the 80s, but of all time. I think “In A Big Country” is a monumentally great song. 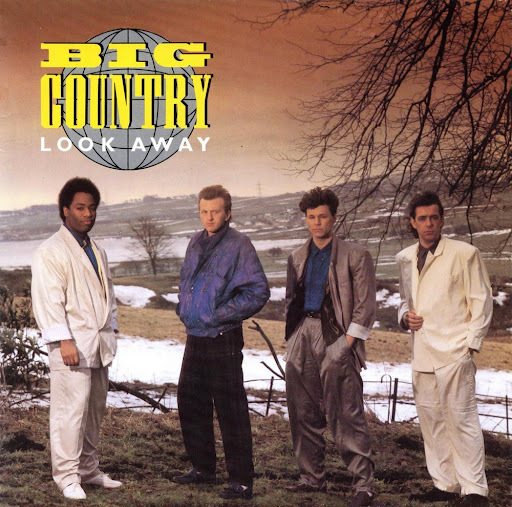 I like “Look Away”, but it’s not “In A Big Country”. Despite Michael suggesting “Look Away”, I’m going to exercise the power of self-indulgence (which I’d originally mistyped as “the power of elf-indulgence”) and make “In A Big Country” the featured song in this post. But getting back to the aforementioned difficulty. The difficulty with this particular episode of Educating Peter is that I honestly can’t think of a bad thing to say about either “In A Big Country” or “Look Away”. Even the bombastic drum sounds – so typical of the 80s, and something that I usually loathe – suit the music. But you didn’t come here to read a post where all you see is the word “great” repeated 50 times. I’ll try to think of something to say. Nope. I can’t think of a thing. I’m listening to the song as I’m typing these words, and I’ve come to the realisation that these words are not worth typing. Excuse me while I stop typing and simply listen to the music. Very loudly. And now for the song Michael actually chose. I’ll play you the two versions of “Look Away” I found – the only difference I can hear is that the 7″ version has a drier drum sound. I’m listening to “Look Away”, and I’m thinking “This is a mighty good song”. The only other thing I’m thinking of is that I prefer the sound of the 7″ version. And that’s about it I’m afraid. You are currently browsing the archives for the Big Country category.